The Center for Urban Youth and Family Development is proud to have the support of our Board of Directors. A collection of community members, business leaders, and purpose driven individuals, our dynamic board is our guiding light. is the President, CEO, Founder, and Chairman of the Board of Directors at the Center for Urban Youth and Family Development. He founded the Center for Urban Youth and Family Development after a successful career at the Ford Motor Company, where he worked for over 27 years. He received a Bachelor’s degree in Public Affairs and an Associates Certificate in Business Studies from Indiana University, Bloomington, and a Master’s degree in Business Management from Central Michigan University. He is actively involved in community service organizations by assuming numerous Leadership roles, notably as the Chairman of the Board of Directors at the Michigan Neighborhood Partnership (2001-2007) and the Hartford Head Start Agency Inc. (1995-2001), and as a member of the Board of Directors at the Michigan Foster Care Review Board (2005-2007) and Detroit Omega Foundation (1996-1999). Mr. Arbuckle is a member of the Omega Psi Phi Fraternity Inc. Mr. Arbuckle was most recently awarded the 2012 Michigan Hometown Health Hero Award by the Michigan Department of Community Health. He is married to Mrs. Barbara Arbuckle and has two children: Marsaille Arbuckle Jr. and Jamillah Caldwell. is a native of Detroit, MI. He is the Vice Chairman of the Board of Directors at the Center for Urban Youth and Family Development. He received a Bachelor’s degree from Michigan State University with a major in Advertising and a Master’s degree from Jones International University with a major in Higher Education Leadership and Administration. He is currently the Director/Assistant to the Dean for the Diversity Programs Office in the College of Engineering at Michigan State University (MSU). He is also an instructor at MSU, teaching Engineering 160: Diversity in Engineering and Professional Preparation. Theo is married to Jamillah Gross-Caldwell and has three sons: Rodney, Noah, and Jonah. is a native Detroiter, a physician, with a passion for teaching prevention and self-awareness in medicine. She is the Secretary of the Board of Directors at the Center for Urban Youth and Family Development. She graduated from Wayne State University School of Medicine in 1990 and took her residency in Family Medicine at St. John Medical Center. Her professional interests include Health Care Risk Assessment, Holistic medicine, and teaching prevention and healthy living to youth. Her community engagement activities include recording for the Tenth Precinct Community Relations, Board of Directors member at the Unity Credit Union, and a member of the Dance Ministry and the Health Ministry at Hartford Memorial Baptist Church. is an independent business owner with more than 15 years of experience in retail sales, program coordination, and fundraising including experience with non-profit organizations such as the YMCA of Metropolitan Detroit, the United Way, the American Cancer Society, the National Society of Black Engineers and Michigan State University. She is the Treasurer of the Board of Directors at the Center for Urban Youth and Family Development. She is a graduate from Michigan State University with a degree in Human Biology. Jamillah is married to Theodore Caldwell and has three sons: Rodney, Noah, and Jonah. is a Senior Vice President with Morgan Stanley Smith Barney. Prior to joining Morgan Stanley Smith Barney in March of 2009, Darnell spent over 25 years with Merrill Lynch. 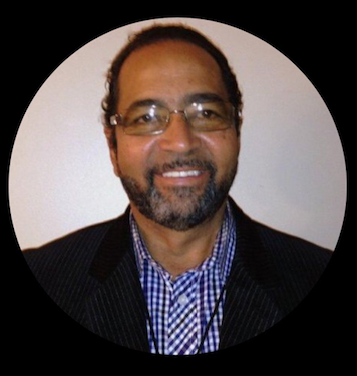 Mr. Darnell Jackson is also a member of the Jackson Group, with close to 65 years of collective financial services experience. Darnell is a University of Michigan graduate with a concentration in Economics and successfully completed the Wharton School of Business Executive Training Program, after finishing his graduate studies at the University of Detroit. 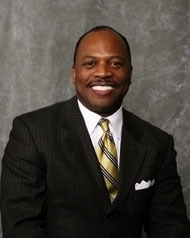 Darnell most recently named a 2012 Detroit Five Star Wealth Managers, as seen in HOUR Detroit and DBusiness magazine. Darnell is married to Mrs. Collete Jackson for 32 years and has two daughters, Kristina, 27, a graduate of Florida A & M University and Kelly, 20, a junior at Florida A & M University. nducts several drug and alcohol abuse seminars at juvenile detention facilities, drug rehabilitation centers, elementary and high schools. Rev. Adams has preached throughout the United States, Europe and Africa. He has traveled the world, ministering in Geneva, Switzerland for the World Council of Churches, Harare, Zimbabwe for the Baptist World Alliance Youth Conference and Johannesburg, South Africa for the American Baptist Churches. He is married to Mrs. Maria Lauren Adams and has two children: Charles Edward and Madison Elizabeth. is a Licensed Social Worker in the state of Michigan with over thirty years of experience serving disadvantaged populations. She has previously worked with the Indiana Department of Family Services, Detroit Jobs Corps Center, Jewish Vocational Services and Lincoln Behavioral Services. She is a graduate of Saint Joseph’s College. She is a member of the Urban League Guild of Detroit and Southeast Michigan, VIP Mentoring Program and the Livonia Democratic Club. Barbara is married to Mr. Marsialle Arbuckle and has two children: Marsaille Arbuckle Jr. and Jamillah Caldwell. is a professional in the transportation business for over two decades. 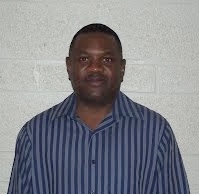 His volunteer activities include the design and implementation of the Senior Program, a Deacon-in-Process and a member of the Male Chorus at Hartford Memorial Baptist Church. His professional engagements enable him to work with The Development Center in Detroit, a Mental Health Facility working with adults with mental illness and youth with emotional disturbance and mental illness. Furthermore, he manages the transportation activities for the Center for Urban Youth and Family Development for their summer and Saturday programs. is the President and CEO of Morgan Development, a multi-billion dollar real estate development company that has built many large homes in the Detroit area. He is a passionate real estate developer and has also developed numerous upscale single family housing units like Morgan Estates besides owning other ventures like the Harbor Hill Marina, J&M Constructions, Castle I and Castle II Development Companies. He provides guidance and insight to the center from a business perspective and with program development of the semi-independent living facilities. He has two daughters.